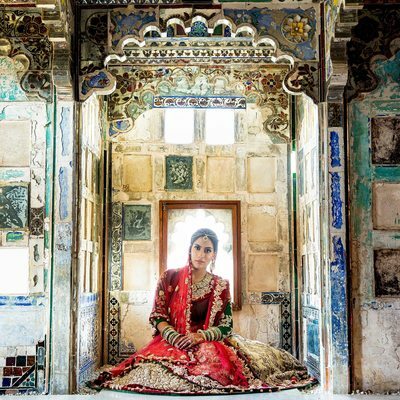 I am Apresh Chavda, a wedding photographer based in London, UK, and travelling all over the world to take award winning indian wedding photos of hundreds of amazing and beautiful wedding celebrations. I think I am one of the luckiest people alive – to do what I love and be welcomed into these wonderful families at such a special time. 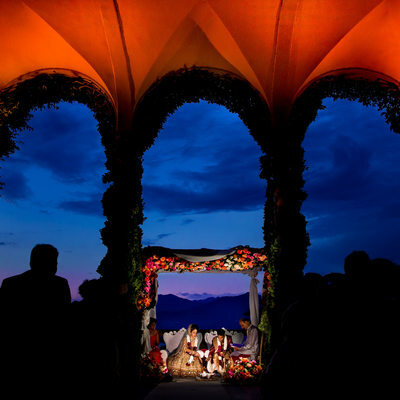 When it comes to photographing weddings, I revel in a challenge! I like to find out what my couples dream about, and think of ways that I can make it come true – at least in the photographs! I am delighted to have won many wedding photography awards, but the best accolade is the reaction of my couples: every time, I try to surpass their expectations. I want to be someone who adds to the specialness of the event rather than just recording it. My wedding photography goes beyond merely capturing the day and storing it in an album. I devote time to understanding the story behind each couple, and unobtrusively capture fleeting moments that illustrate this story. This is what makes my work stand out and why people love what I do. I am based in London, but travel worldwide for my work. I have photographed wedding celebrations and ceremonies locations as diverse as Mexico, Kenya, India, Italy, Spain, and Florida. 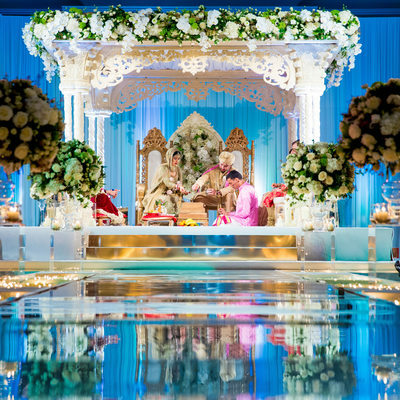 Here in the UK, I have worked in most of the top wedding venues: Oshwal Centre, the Landmark Hotel, the Royal Courts of Justice, Copthrone Hotel, Effingham Park, Jumeriah Carlton, The Grove Hotel and Spa, Newland Manor, Moor Park Mansion, Bhaktivedanta Manor, The Cinnamon Club, Woburn Abbey, Harrow School, The Tower Hotel, Kew Gardens, Fetcham Park, Addington Palace, Savill Court Hotel, Hilton Syon Park, Micklefield Hall, and the Three Rivers Gold Club. Building a trusting relationship is vital for me to get the intimate pictures that make my work memorable. Distance is not a problem: we can discuss the plans for your wedding face-to-face, by Skype, email, or telephone. The more information you give me, and the more I understand you as a couple, the better. 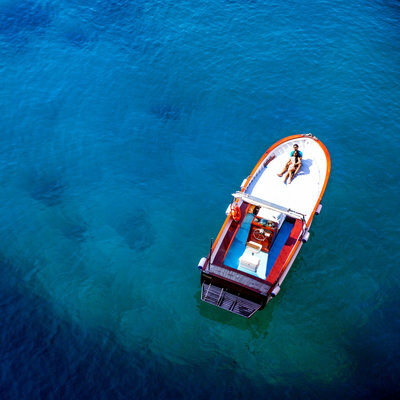 If you are relaxed and enjoying your day, this will show in the photographs. Trusting your photographer means that there is at least one thing you don’t have to worry about! So you understand that trust is the fundamental part that makes my work stand out and win awards. From our very first meeting, I will start to get to know you and listen to what is important for you and your families. 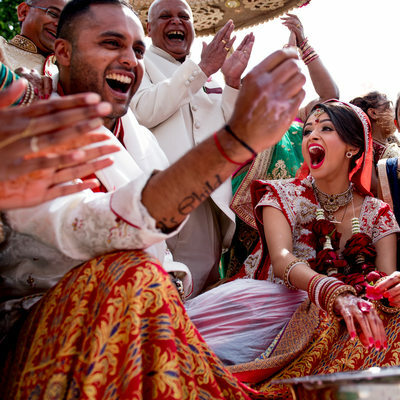 My photographs show more than the marriage event, they illustrate the story behind the celebrations. 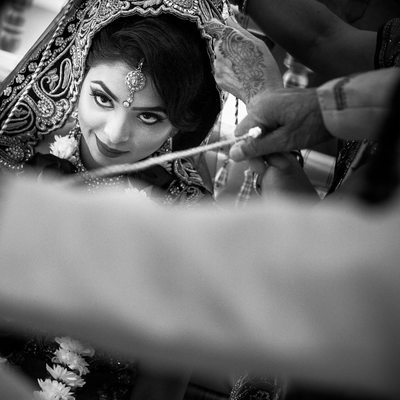 I have been an Indian wedding photographer for more than a decade, and I understand the steps in each type of wedding ceremony, know how to capture the most important moments, and appreciate the different cultures involved. 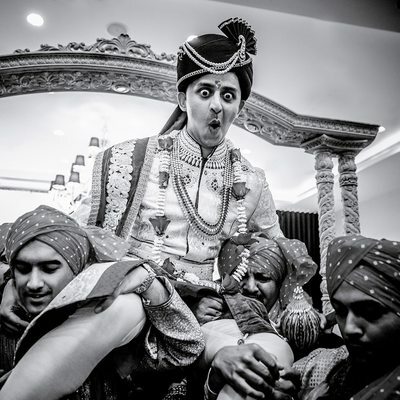 A lot of my work is Asian wedding photography, but I do much more. I’ve photographed Hindu, South Indian, Sikh, Muslim, Christian weddings, civil partnerships, pre- and post-wedding celebrations. Every event has a rich and emotional story attached, and my speciality is capturing those feelings and turning them into photographic memories for you to treasure for generations. I take formal marriage portraits as well, but I particularly look for ways to portray the dynamism, excitement, anticipation, and hope of a wedding celebration. 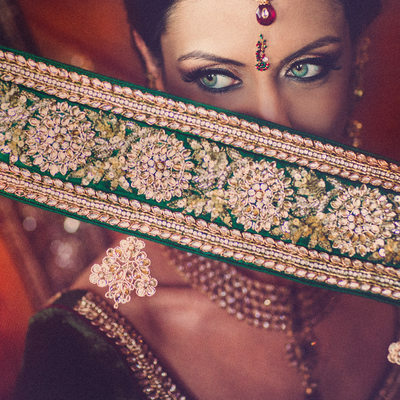 My years of experience, my knowledge of hundreds of venues and my connections with top quality providers of Asian wedding services, plus my personal understanding of the cultures involved, means that couples find my advice invaluable to their wedding preparations. Tell me what you want, and it’s likely that I will know someone who can make it happen. 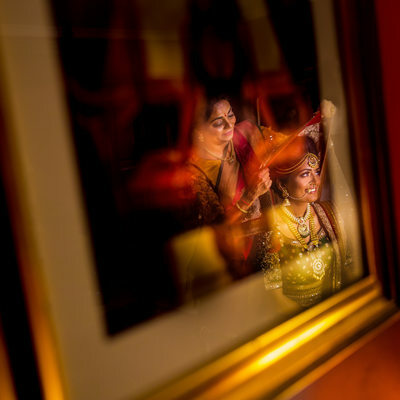 I teach photography at all levels of experience, giving an insight into the dynamics of an Indian wedding and how a successful Asian wedding photographer needs to respond to the challenges presented by the different types of ceremony and event. 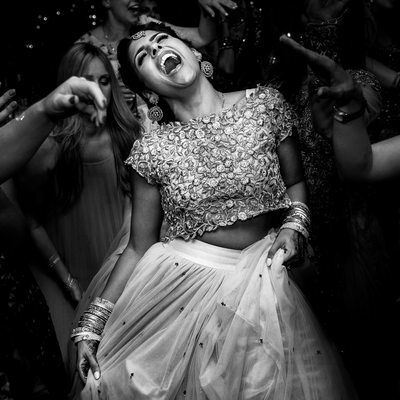 I also do one-to-one sessions and mentoring programmes for Indian wedding photographers, whether they are just starting out, or looking to improve their own skills. 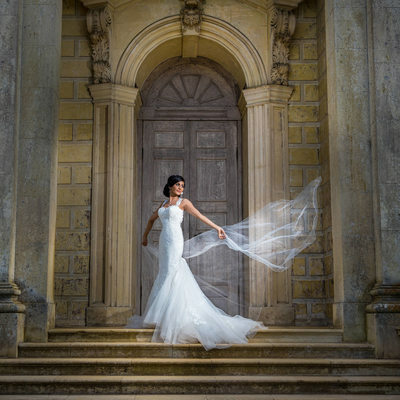 I work hard to stay at the top of my craft – refining and honing my skills and learning all the time from courses, workshops, and association with other top photographers. Every couple has different needs and dreams for their wedding and so I price each assignment separately as a bespoke service. 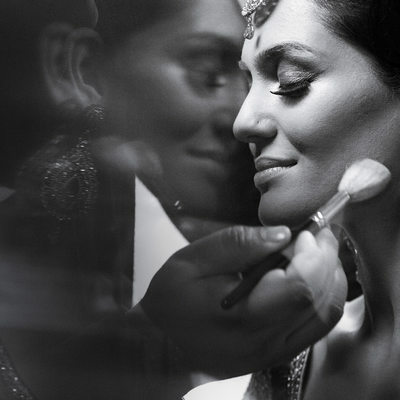 Great wedding memories are an investment, and I understand that you want to find the perfect package. Get in touch to tell me what you would like for your wedding, and I can talk you through the various options that are available. You may want physical albums, a slide show, different images for your parents and friends, and so forth. It’s all possible. From a fairly simple photobook to a luxurious storybook album, I create personal and emotional visual stories that you will love to share. I have many very happy past couples, several of whom have stayed in touch long after the day. I work hard to build a unique trusting relationship with my brides, grooms, parents, siblings, cousins and so on! This pays off in the resulting pictures – only couples who are completely relaxed and confident are able to let me in to how they are feeling inside. Take a look through my wedding photography portfolio and tell me what you would like for your own wedding. If you think it’s impossible – still ask! I am in the business of making dreams come true, and you may be surprised at what a skilful wedding photographer can make happen.